I didn’t experience a miracle, but I saw them happen while working in a chiropractic office. Following high school, Dr. Terri began working as a chiropractic assistant for Dr. David Glumb in Milwaukee Wisconsin. Her career working with him was rewarding, educational and a pure joy. She was able to see how his dedication to his patients and his love of chiropractic shined through into his practice. Dr. Glumb passed away at an early age due to a life threatening illness. It was at this time Dr. Terri decided to become a chiropractor. She continued working for other chiropractors while beginning her pre-chiropractic education at the University of Wisconsin – Milwaukee. After completing her study there, she was accepted at Palmer College of Chiropractic in Davenport, Iowa. During her four years at Palmer, courses included biochemistry, a major emphasis on anatomy and human physiology, X-ray, diagnosis chiropractic adjusting techniques and patient care in the Palmer College Public Clinic. Dr. Terri was also very active in many student organizations such as holding the vice president position of the Student American Chiropractic Association, working for the school newspaper. 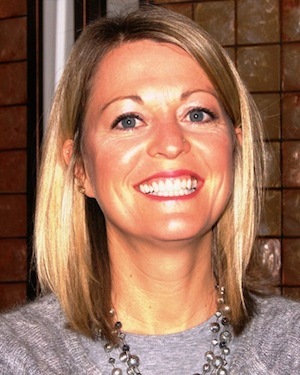 After graduating in 2004, Dr. Terri moved to North Carolina to establish her practice in Asheville. Dr. Terri believes that health lies within each and every one of us. Health can not be bought at the supermarket or drug store. It has been said “if health came in a bottle, there would be a shortage of bottles.” The truth is that it is each and every individuals responsibility to do the things necessary to reach and maintain a healthy state. People would like to “blame” their lack of health on their genetic makeup or state their health as “lucky”. This couldn’t be farther from the truth, while we may have a genetic predisposition toward health, it is our environment that we create for ourselves that is responsible for how our genes are expressed. Dr. Terri enjoys adjusting people of all ages. Dr. Terri enjoys adjusting people of all ages. She takes great care in explaining to people what to expect from chiropractic and respects peoples apprehensions if they’ve never seen a doctor of chiropractic before. “There is nothing I love more than to see a smile on someone’s face after they get up from my table and say, ‘Wow! That was a better experience than what I thought it would be, it didn’t hurt at all.’ I love being the first chiropractor to adjust someone. “Whether it’s helping someone alleviate pain following a whiplash injury from a car accident. Helping someone with lower back pain, neck pain or headaches, it thrills me daily to help people achieve and live a pain free life without the use of over the counter drugs or doctor prescribed medications.” All of us at Asheville Pain and Wellness Center truly strive to be the office that provides Chiropractic Care for Every Body! Dr. Terri currently is working to become a Certified Wellness Practitioner by the International Chiropractic Association’s Council on Wellness. “During my personal time I enjoy gardening, cooking, caring for our four dogs and four cats, running, hiking at Bent Creek and beekeeping.” Dr. Terri has been a vegetarian for over thirty years. She enjoys cooking healthy vegetarian meals and does her best to eat organic, locally grown produce. She runs 3-4 times per week and trains regularly for local races and events. Thanks for visiting our site. I look forward to meeting you and helping you achieve your optimum level of health. Contact us so we can discuss any questions you may have regarding your health and chiropractic!